In the late 1950s, somebody at Roulette Records got an idea. And Roulette Records had lots of ideas. Being mobster founded and funded and all. If you know what I mean (nudge-wink). This was also a surprisingly well known secret, even in the scandal-ridden 1950s. But everybody was getting too worked up over phantom communists in Hollywood to bother to notice the corruption going on amongst the mobsters in New York. 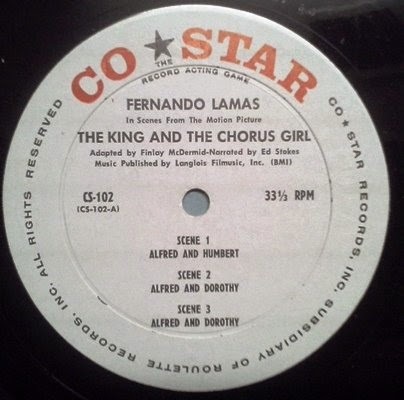 They released this awesome series of 15 vinyl LPs in 1957. 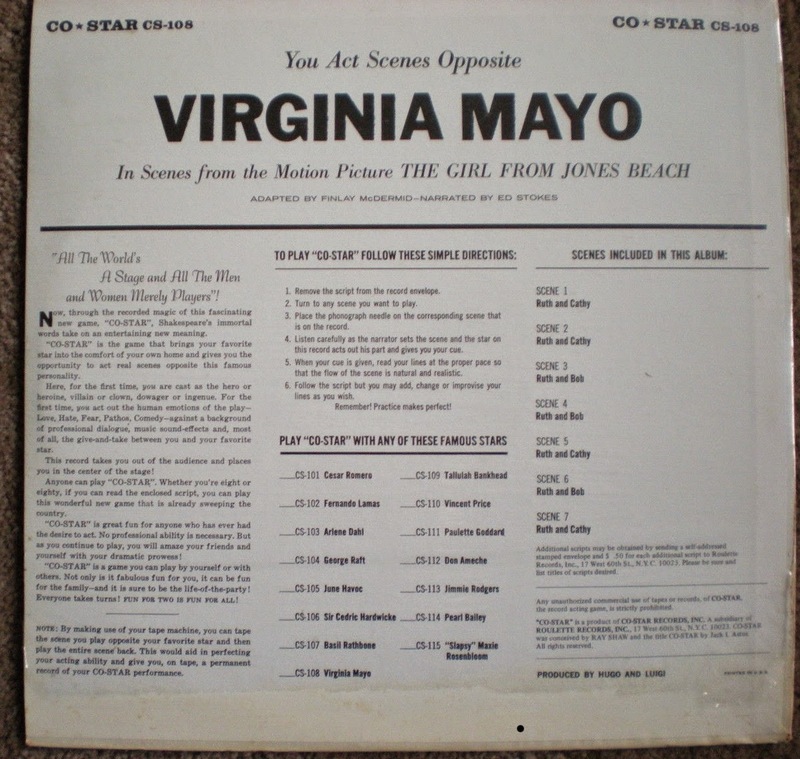 Each features the named actor reading one part in a two-character scene, and includes a script with both parts so that the listener can play the scene opposite the star. A terrific novelty item, probably more fun now than it was originally. Some of the actors were superstars, others were stars who have begun to fade. And even a few of Roulette's own recording artists (who weren't necessarily actors in their own right, such as Jimmie Rodgers and Pearl Bailey.) After all, when you're working for a record company owned by The Mob, who you gonna say no to? It must have been popular with young boomers, because Roulette Records reissued the entire series in 1977 on it's 20th anniversary. 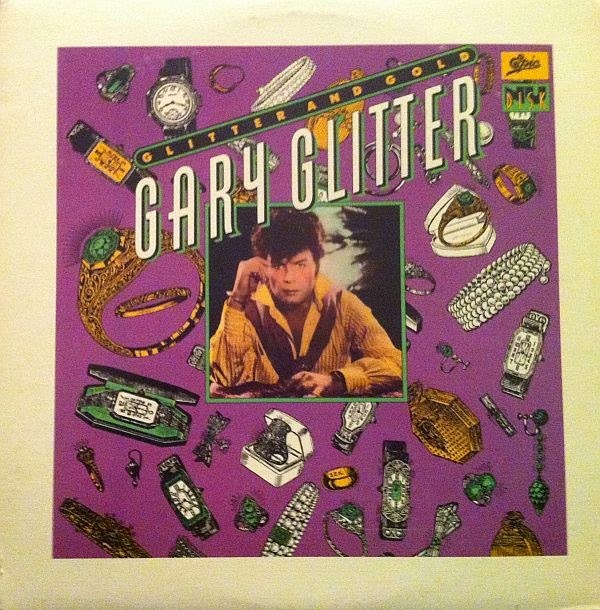 Sadly, it never got a further reissue to CD. 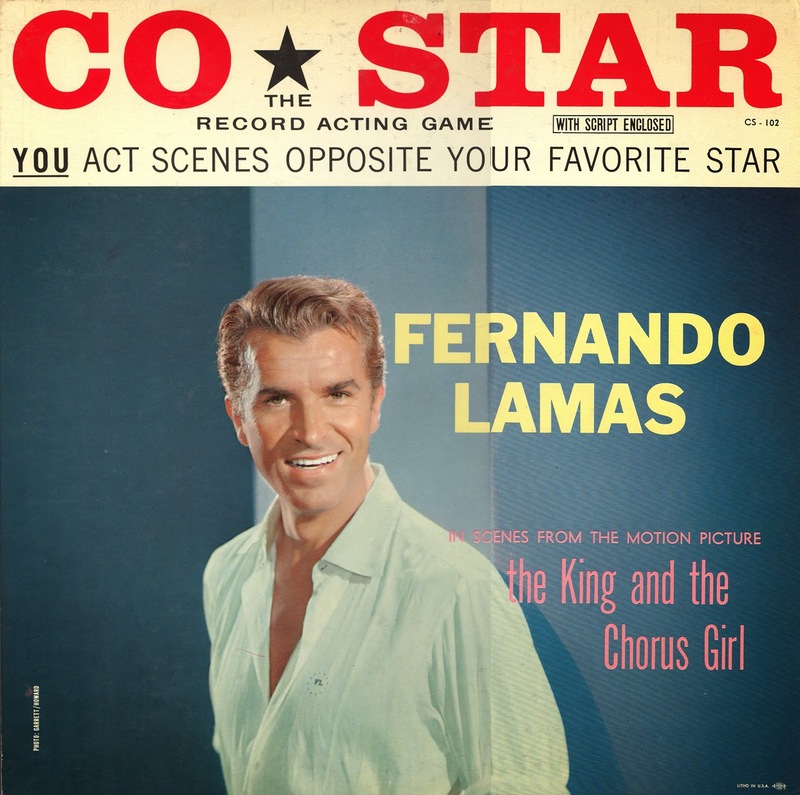 The Fernando Lamas record is close as I can come to a complete package. Here's a Here's a link to the MP3s. But unfortunately. I could not find a script for any of these titles with matching MP3 dialogue life of me. But maybe there's a brand new way of doing this: Create YOUR OWN responses to the dialogue. By the way, Fernando Lamas is the father of eternal chick magnet, Lorenzo Lamas. 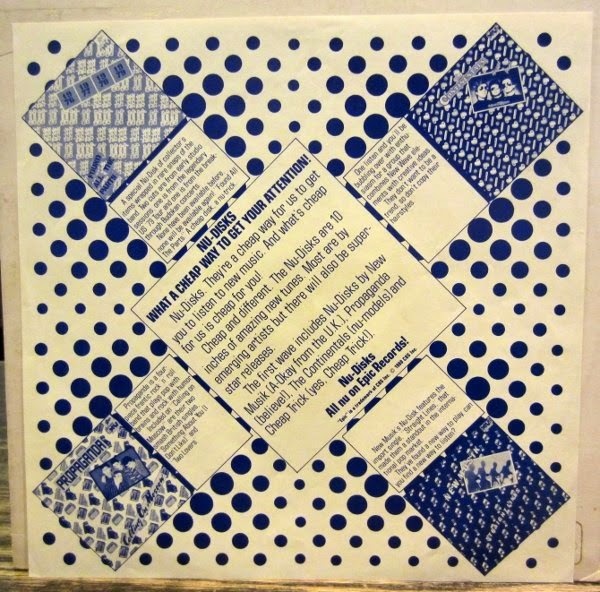 (CLICK ON PHOTO) This is an example of the stock back cover Roulette used for these records. Only the performer and session information are changed from each album. Every now and then, I would run into a someone over 60 who would grumble about why there's no oldies on the radio. Actually, there are LOTS of oldies on the radio. But just not OLDIES. Today, the industry lingo for them is "Classic Hits". The change in term dates back to the late 1980s, when Baby Boomers of the late 1960s and early '70s felt uncomfortable with that term "Oldies" applied to their music. They're pining for the sock-hopping tunes of the 1950s and early '60s. Elvis, Buddy Holly, The Coasters, The Robins, The Orioles, Gene Vincent, et al. And even the fans of late '60s and early '70s pop are finding fewer and fewer choices on the radio. Hardly anyone plays The Beatles or The Monkees anymore either. And they were once mega-superstars. The sad answer is they have simply been aged out of the demographic spectrum of radio. They're becoming a victim of what their parents went through a few decades earlier, when the Big Bands of Tommy Dorsey, Glenn Miller and Duke Ellington began vanishing en masse from the AM radio airwaves in favour of News/Talk and Sports formats. But it's not just an age shift. More importantly, it's an economic one. As you get older, your spending becomes more frugal. Fewer people receive pensions and rely on their Social Security checks. When you live on a fixed income, you don't have what is referred to as disposable income. The very words of which seem very alien these days. You can blame President Obama as much as you want. But radio began to be deregulated and more tightly corporately controlled under Reagan and President Clinton threw gasoline on it by signing the Telecommunications Act of 1996 into law, which allowed one corporation to own up to eight radio stations in one market. The bottom line is when people talk about the glories of unfettered capitalism, take it with a grain or two of salt. There are ALWAYS casualties. BAD ones. It's pointless to complain to your local oldies station (not like they actually care about you anyway.) Most are corporately owned and they get their marching orders from wherever the corporate headquarters may be. They have to make a gross (and I do mean gross) profit to their CEOs and board of directors, as well as the shareholders in the corporation. Otherwise, they change their format completely. That's just how it is in commercial radio these days. The oldies format began in earnest back in the early 1970s. Oldies radio tends to focus on songs that are 15-20 years old. You can map it out simply like this; in 1972, a 15 year old song was new in 1957. As the 1980s came, the '60s became all the rage with the economically powerful Baby Boomers, in the 1990s, the '70s experienced a revival and in the 2000's, the '80s were cool again. 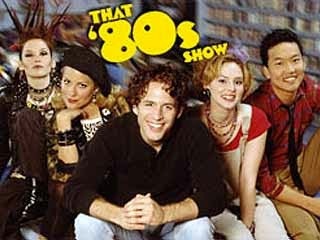 Here we are in the 2010s and today it's the '90s. Another way of looking at it is this, "The Real World" Matchbox Twenty, "Fly" Sugar Ray and "Baby One More Time" Britney Spears are bona-fide oldies now. And it's only going to get worse, kids. One of these days (and following this formula, it's sooner than you think), Nickelback and Justin Bieber are going to get ad nauseum airplay on the local "Classic Hits" station. And you too will get old. By this time, the '90s will be the soundtrack of retirement homes. So to all my Boomer friends, take it from someone who's been in the radio biz and has seen it all come apart. Outside of some of your VERY few locally owned, operated and programmed radio stations remaining (many of which stream online) finding those awesome '50s and '60s songs are getting harder and harder to find. But that's where good radio has gone - online. It's a strange new world we're in these days. But it's one we only have ourselves to blame for not paying attention to radio like we should have. It's like the old saying "Use it or lose it". We've taken radio for granted. Video disc players of some kind have been around as far back as 1898. MCA DiscoVision - The unfortunately named, very first practical consumer video disc was invented by the Pioneer Corporation of Japan and first licensed and marketed by American record conglomerate MCA Records, the owners of Universal Studios (MCA Records is known today as Universal Music Group) beginning in 1978. It was the very first laser based consumer medium, predating the CD by four years. These discs were two sided and the video quality was not much better than the best video tapes of that time. They were also ridiculously expensive. In spite of stereo sound (on some discs) and their cool look, there was no way it could compete with the video tape. Video tapes could be home recorded. Video discs could not. And then there was that name. You couldn't sell something with "disco" anything in it in America in the early '80s without creating PTSD flashbacks of mirrored balls, white three piece suits and Bee Gees music. We were a nation still in recovery then and sales began to seriously tank. They tried renaming it the Video LP (VLP), even CD Video before MCA finally gave up on the format. Pioneer renamed it the Laserdisc and enjoyed some modest success in the early 1990s. They were still outrageously expensive. But there were many technical improvements. 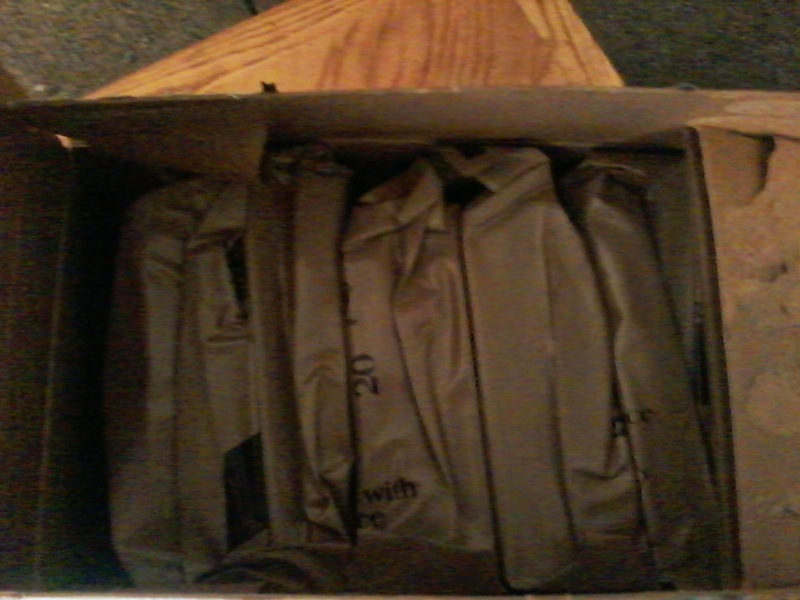 But the VHS video tape still dominated. The final blow came with the introduction of the DVD in 1996. Which also successfully killed off the VHS tape format by 2004 with the introduction of the recordable DVD-R and later by, YouTube, Netflix and cloud sharing. 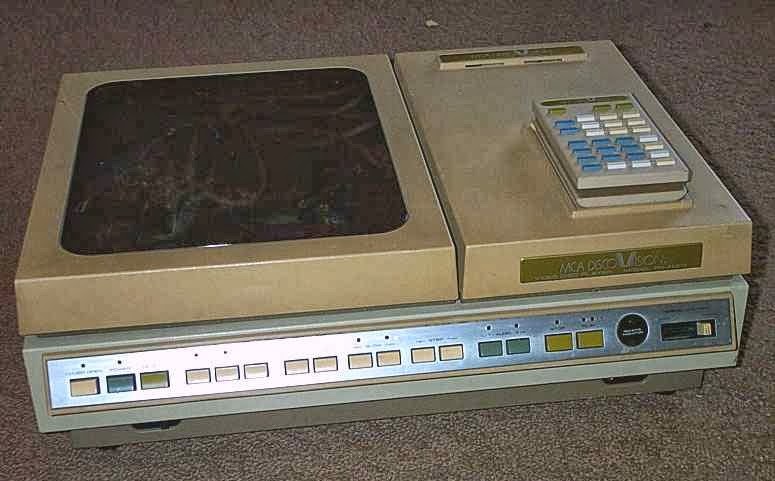 RCA Selectavision - Also known as the CED video disc. 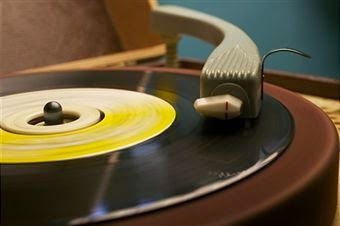 Introduced in 1982. what made these different was instead of a laser, they used a stylus, similar to a vinyl LP record. Which is why you inserted the CED disc into the player through it's case and it is removed with the case to play each side. 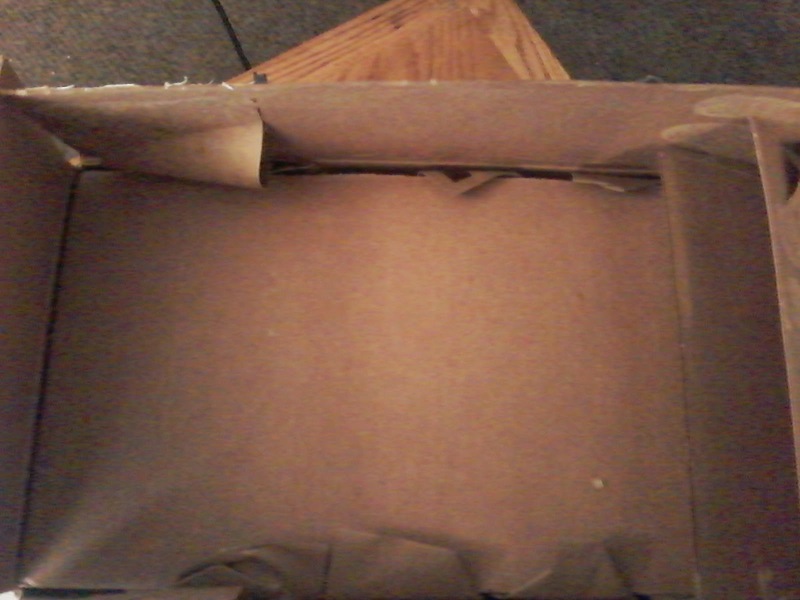 However, even with the sturdy plastic case, they were not immune to the same problems that plagued vinyl LPs. Including dust (from inside the machine) minor scratches and if you had a smart toddler, they can physically remove the disc from the case by pressing the tabs on the upper corners of the case. And out falls the actual disc. (I knew one guy who had his entire CED disc collection ruined by his girlfriend's mischievous four year old son one horrifying Saturday morning.) The stylus like any vinyl format also had to be changed. By a professional. Often. Or else, the discs would wear out and skip like any other record. And they were not pleasant to look at. They were discontinued in 1986. CD-ROM - Most CD's are pretty much CD-ROMs. Meaning they could only be read and not re-recorded. With the CD-RW, they could. 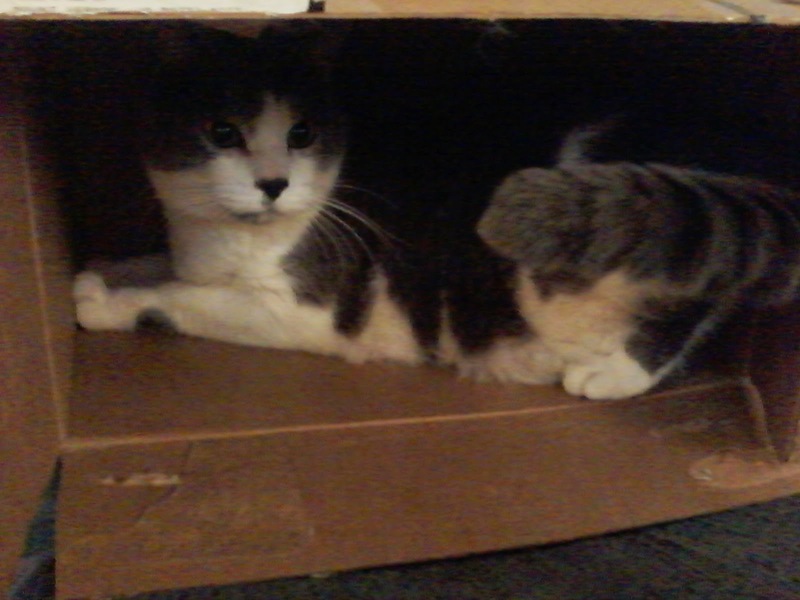 However in the mid '90s, computer software and video games was only available on CD-ROMs including your operating system. So all computers of that time had them. And some low quality music videos began appearing on standard music CDs, meaning you could play this disc in your CD-ROM equipped home computer and watch the video on your monitor. There were also instructional videos on CD-ROM. Remember these commercials? 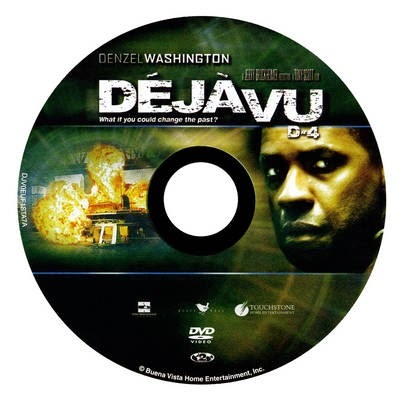 DVD - The DVD format went on sale in Japan on November 1, 1996, in the United States on March 1, 1997, in Europe on October 1, 1998 and in Australia on February 1, 1999. The DVD became the dominant form of home video distribution in Japan when it first went on sale in 1996, but did not become the dominant form of home video distribution in the United States until June 15, 2003, when weekly DVD rentals began outnumbering weekly VHS cassette rentals. The very first movie ever released on DVD was Twister (1996) The DVD could store 4.7 GB of data per disc. 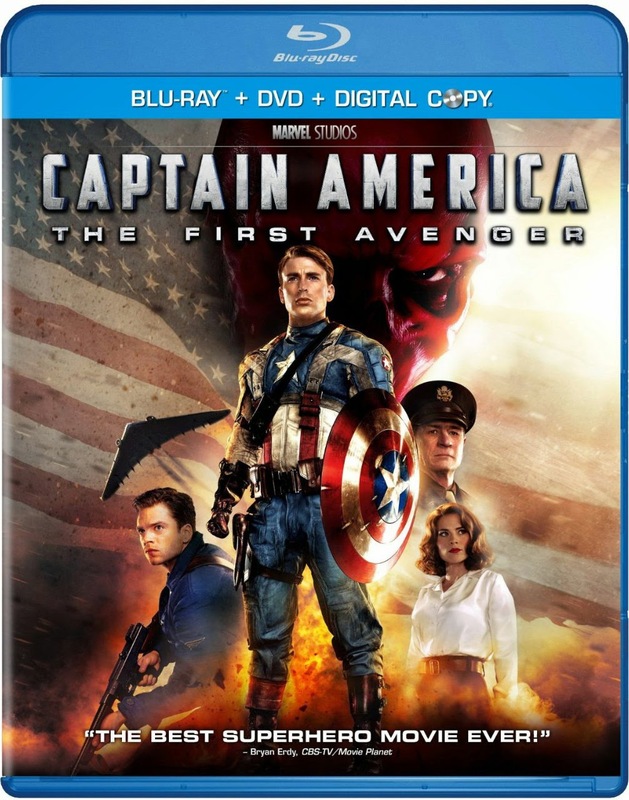 Blu-Ray - is a format designed to supersede the DVD format, in that it is capable of storing high-definition video resolution (1080p). The Blu-Ray disc could store 25 GB of data. 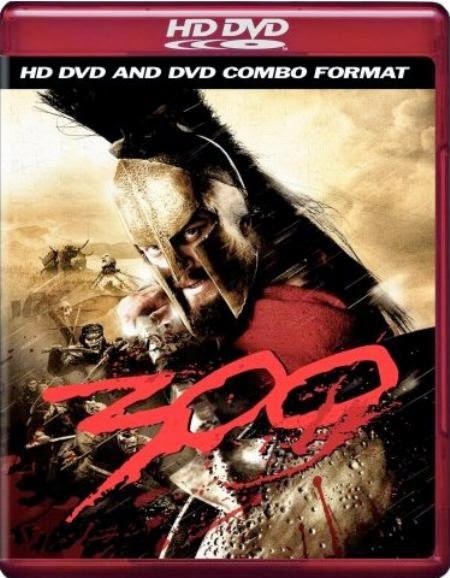 HD-DVD - HD-DVD was a format designed to compete with the Blu-Ray. 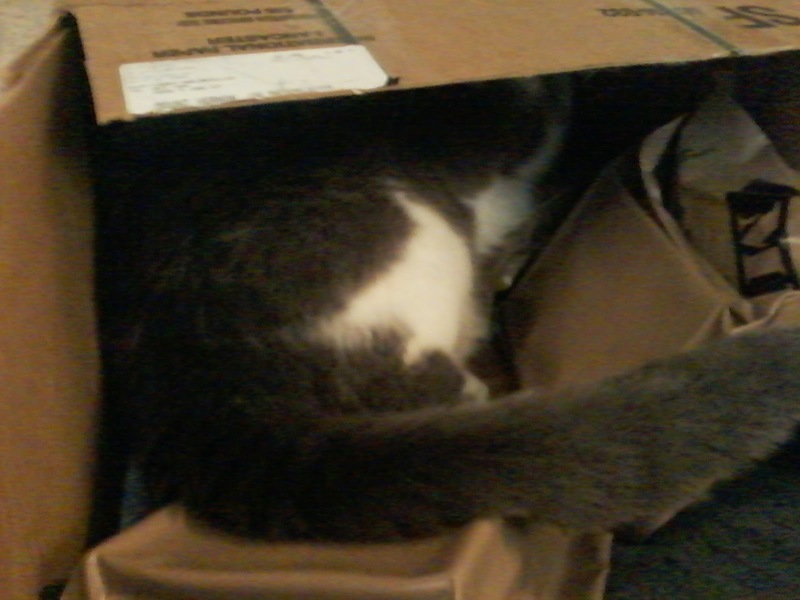 But the format failed to get a foothold. In 1979, Epic Records introduced the Nu-Disk. 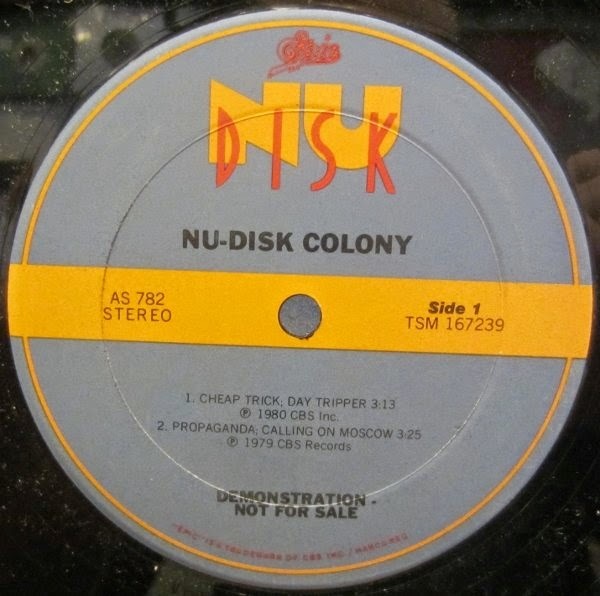 The Nu-Disk was a 10" inch extended play mini-album, or EP. It was made mostly as a promotional gimmick for mostly newer rock acts on the label. However records of a 10" inch size weren't "Nu". 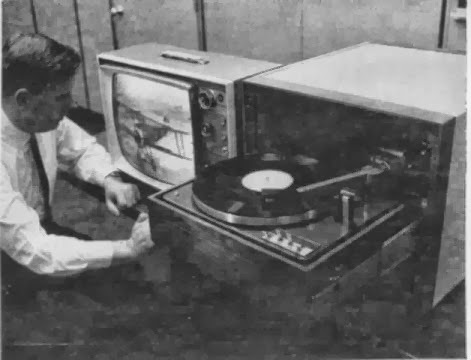 In fact, most of the very first 33 1/3 LPs from 1948 to 1955 were 10" inches and that size was actually considered standard and many automatic record changers well into the 1970s had a 10" size selector. 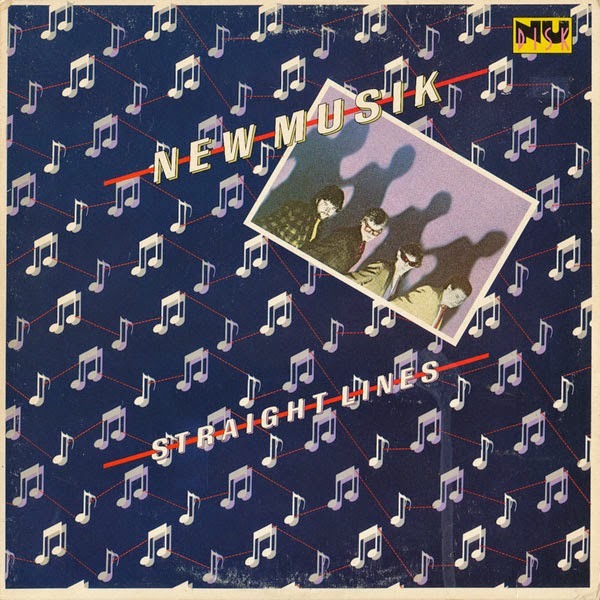 But the 12" LP began to overtake the 10" and with the exception of a few rare pressings, the 10" album size was largely retired until Nu-Disk. Only a handful of titles were released in the Nu-Disk format before CBS retired the format in 1981 due to public indifference. 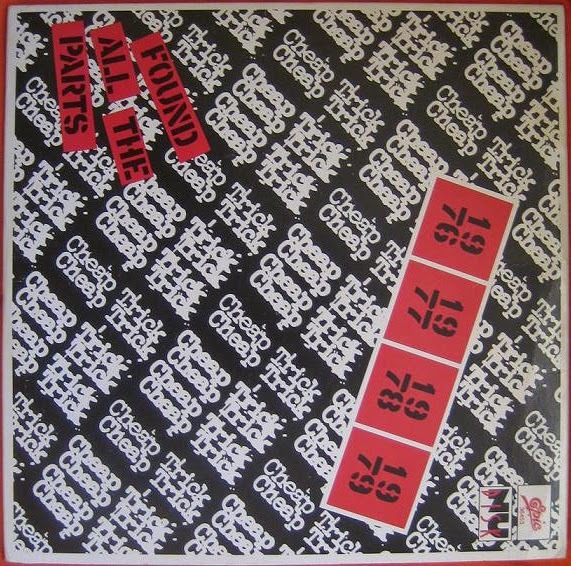 All further EPs were 7" or 12". You've probably been seeing this record cover circulating around the interwebs lately amongst the world's worst album covers listings. But rarely do we get the chance to hear what one sounds like. Well, thanks to our friends at Kill Ugly Radio, you can now hear this one. 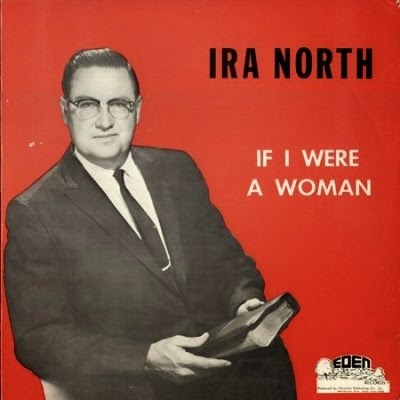 Ira North sure thinks he's a sweet funny preacher. And perhaps he was considered that in the Deep South of the late 1950s and early '60s before the Civil Rights Act, Women's Liberation and Stonewall. But his screed back then sounds vomit-inducing amongst the more evolved amongst us today. If there was one name that summed up Adult Contemporary music in the 1980s, it would be Laura Branigan. Her songs were staples on AC radio, guaranteed to pop up at any given time anywhere around the radio dial in those days. If all you had was a radio for entertainment in your car or wherever, there was just simply no escape; You were going to hear at least a snippet of a Laura Branigan song somewhere at any time as you were tuning around the radio dial. That's how big of a radio-friendly pop star she was back then. 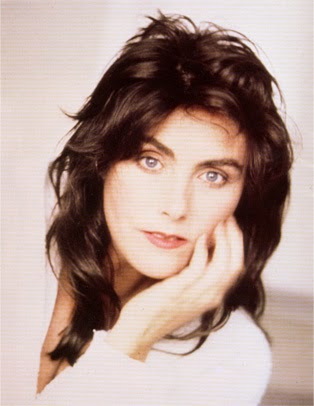 Laura Branigan's string of major hits dropped off after 1986, but she still remained active through the '90s, including occasional forays into acting until her untimely death in 2004. Those earlier hits of hers were still played on the radio ad nauseum for the rest of the 1980s and well into the '90s. 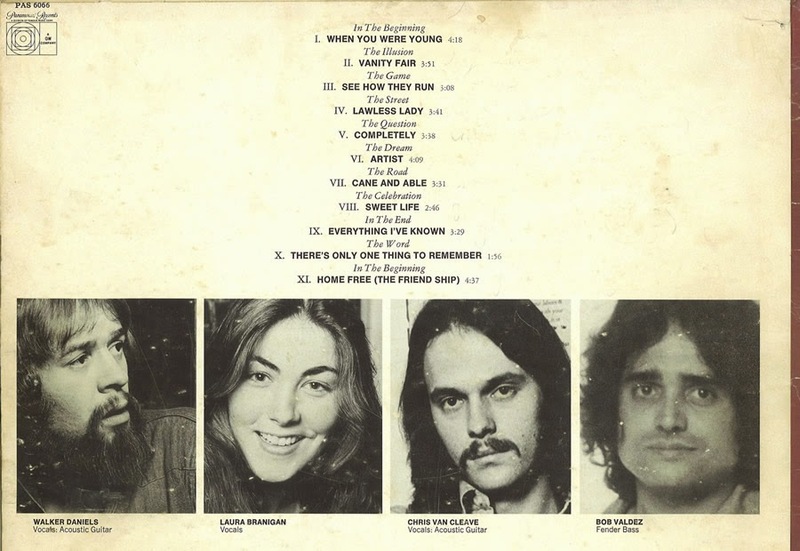 But long before this string of hits, Laura Branigan in the early '70s was an aspiring singer, still in her teens. And as an aspiring singer, you took whatever gig you could get. Especially if that gig also came with a recording contract with a fairly major label. As in the case of Meadow. Meadow was a fairly unknown folk act in a sea of many such acts of that time who recorded a sort of religious psychedelic folk concept album called The Friend Ship. The track listing on the back of the LP gave you a hint of that you were getting into. A few singles were released, but The Friend Ship never got anywhere. 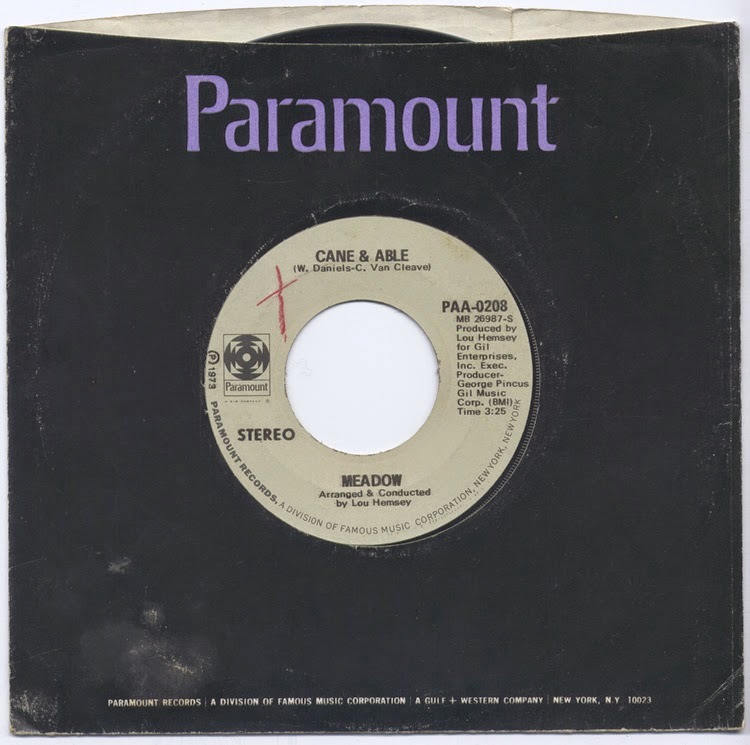 However this wouldn't be Paramount Records (which was eventually absorbed into MCA Records) only flirtation with a later mega-star act of the 1980s. They also released a 1972 album from another folk-pop act called Milkwood, which featured Ric Ocasek and Benjamin Orr of The Cars. However unlike most early recordings of then unknown artists that are later re-released by record companies to capitalize on the artist's later success, Meadow's The Friend Ship never had a reissue and Branigan herself was known for being tight-lipped about the experience. Probably for the better, as The Friend Ship's pseudo-religious psychedelic folk-pop was fairly dated by the time Branigan had established herself as a major pop star. It would have been extremely difficult for her fans and the general public to reconcile her then-current image with the one that was on The Friend Ship. Even though there were far worse beginnings for many major pop acts. However in spite of the music, this LP (as Milkwood's) remains a prized collector's item for it's rarity alone. 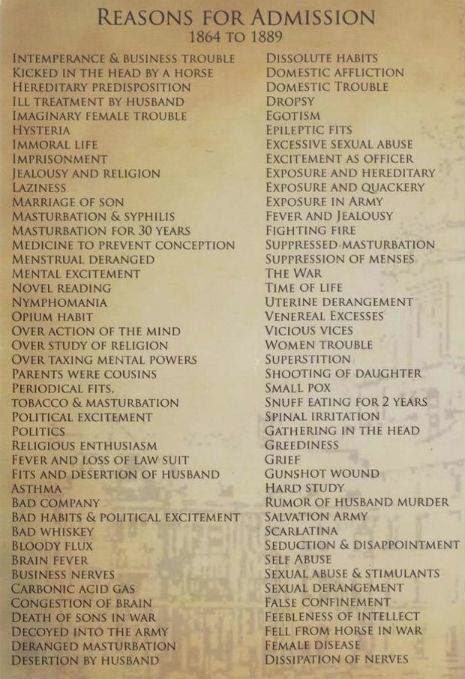 List of reasons why you could have been admitted into an insane asylum in the late 1800s. Do YOU qualify? 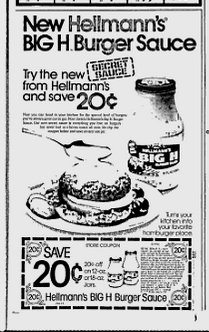 In 1979, Hellmann's introduced Big H Burger Sauce a product that was briefly on the market. It was a near perfect carbon copy of a famous burger "special sauce" used by a famous worldwide mega-conglomerate burger chain. And that might have been why this product disappeared as quickly as it came. 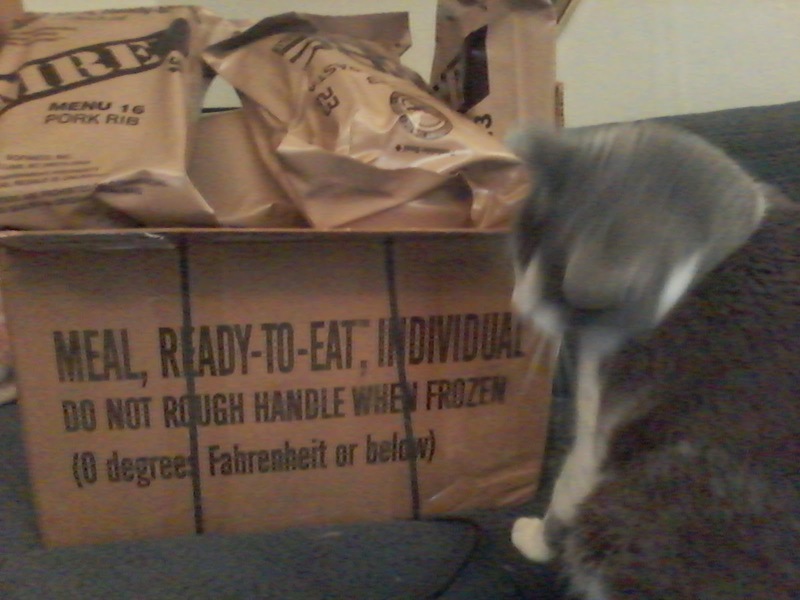 But I could put that stuff on nearly everything - including hot dogs and it would just taste FANTASTIC. I know it was popular because everyone was talking about it back then. So it must have sold very, very well. It was the only product marketed by Hellmann's on the West Coast that wasn't under the Best Foods brand name (as Hellmann's Mayonnaise has always been.) There were a few attempts to consolidate the name under the Hellmann's brand west of The Rocky Mountains. But we West Coasters FLATLY wouldn't hear of it and the idea never got off the ground. And we still won't. So to this day, Hellmann's mayo is still known as Best Foods mayonnaise west of The Rockies. And that's that. Period. On August 13th, Disney announced it would be ending it's Radio Disney network on nearly all of it's mostly AM radio stations and selling the stations to concentrate on the network's digital platforms, such as online and satellite. The stations will leave the air until they are sold. It's currently unknown if there will be a single buyer of all or if stations will be sold one by one. But one thing is guaranteed; the formats will change. Radio Disney however is keeping it's flagship station, 1110 KDIS Los Angeles, but the rest are to be sold. This brings to an end to the longest running AM children's radio network chain. Radio Disney was one of many networks started in the 1980s, '90s and 2000s to rescue failing 2nd tier, mostly AM radio stations with unique programming unavailable on most FM radio stations (such as hard rock, LGBT programming, personal motivation, progressive talk, business talk and others.) In Disney's case, programming for pre-teens. However, they weren't the first network to cater to children. There were earlier networks, such as Radio AAHS (pronounced "Radio Oz", founded in 1990 and based at 1280 WWTC Minneapolis - now a conservative talk station.) 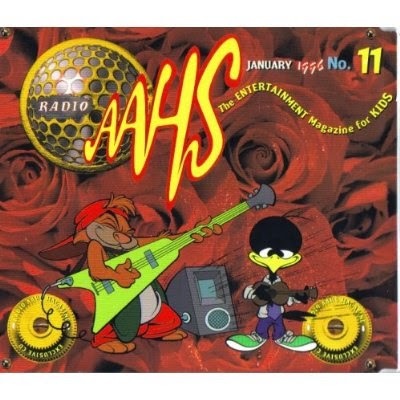 Radio AAHS also offered a monthly magazine with a CD or cassette tape. Radio AAHS entered into a early deal with Disney which quickly turned sour, as Disney was quietly preparing it's own radio network (unbeknownst to Radio AAHS.) It's been said the only reason Disney entered into the deal was to learn all they could about Radio AAHS's successful children's radio programming model. And then use it to their advantage and shutting out it's benefactor. Seattle based KidStar was an aspiring competitor to Radio AAHS. Founded in 1993 and based at 1250 KKDZ Seattle, KidStar offered similar programming to Radio AAHS, but KidStar was a bit edgier, offering more rock based music selections than the mostly kiddie-tune Radio AAHS. There were plans to expand into a full network, like Radio AAHS, but they were quickly dashed as Disney began flexing it's muscles with Radio AAHS. 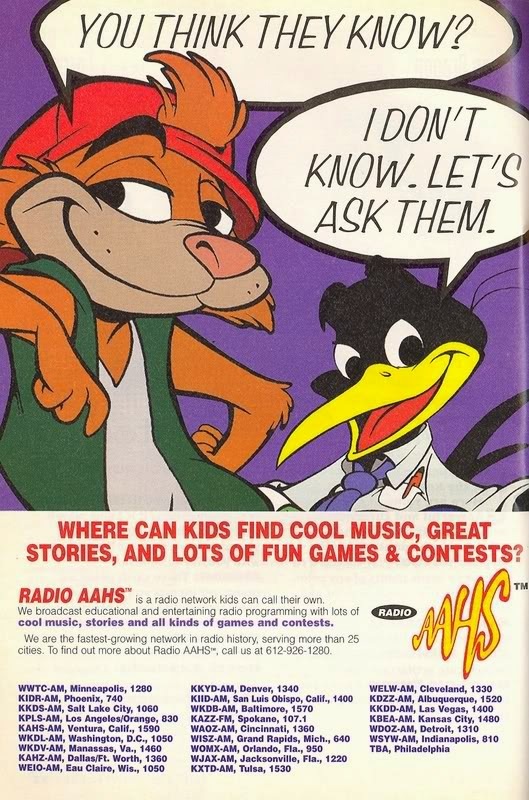 Both the Radio AAHS network and KidStar relied on advertising from giants of kid marketing, such as Disney, Warner Bros., Mattel and General Mills. However as Disney became more powerful in the children's radio format at an alarming rate, these accounts quickly dried up by the time Radio Disney was launched in 1996 and there was no way tiny KidStar could compete with the Disney empire. 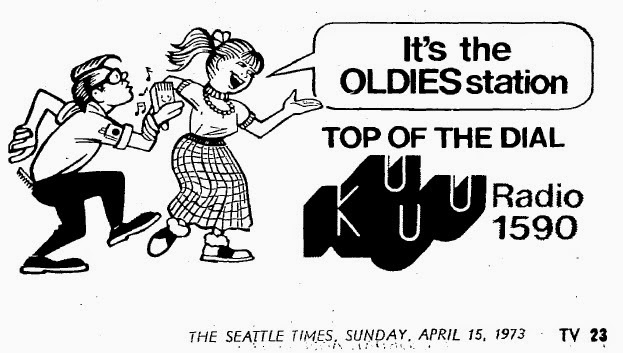 KidStar had no other option than to sell it's one and only station, KKDZ Seattle to Radio Disney in 1997. Radio Disney is scheduled to end programming on their affiliate stations around September 26th. In 1983, there was a major hit record in Australia nobody in America has ever heard at that time. But one they should have. Sadly, it didn't get any American radio airplay or distribution. 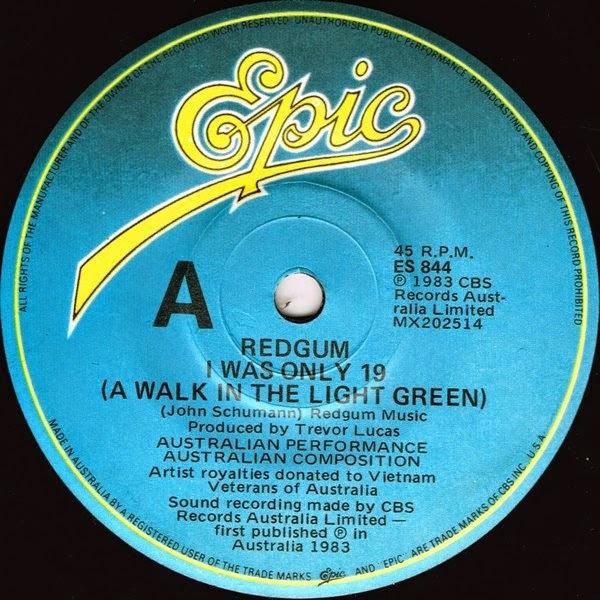 The song was called "I Was Only 19 (A Walk In The Light Green)" by Redgum, an Australian folk group that described the Australian experience in the Vietnam War and it's aftermath in a way any American veteran of that war could easily relate. 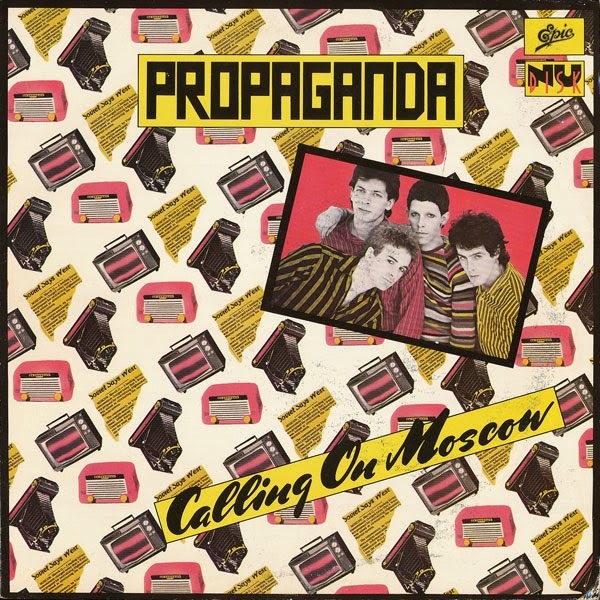 The early '80s seemed to be filled with songs about the Vietnam War. From "Still In Saigon" The Charlie Daniels Band, "Goodnight Saigon" Billy Joel, the ubiquitous "Born In The USA" Bruce Springsteen (among many he wrote.) 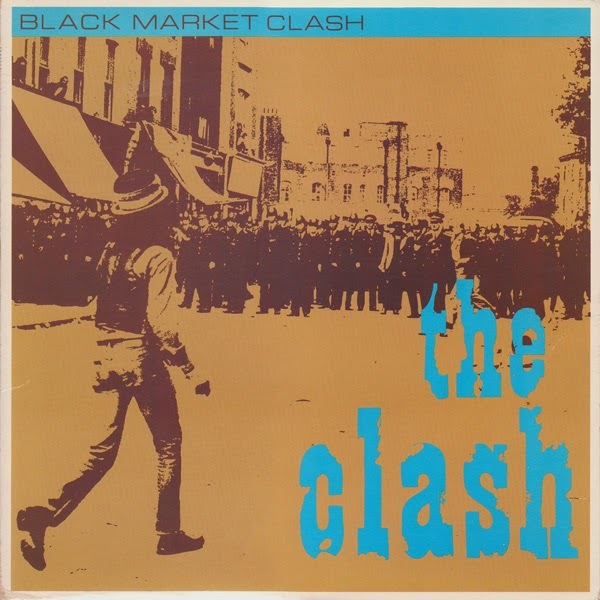 The Clash also recorded several songs about the Vietnam War. And of course, there was the just plain dopey "19" Paul Hardcastle. Australian hip-hop group The Herd (no relation to Peter Frampton's late '60s band, of course) remakes "I Was Only 19". Their version included John Schumann, Redgum's lead vocalist in the song's bridge and, most surprisingly, in the song's final rap. 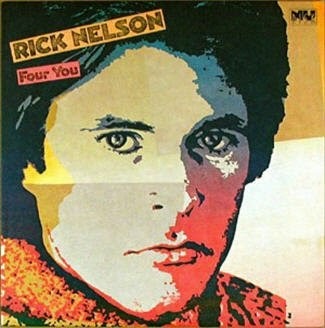 He is also highlighted in the song's video. The Herd's remake became another major hit in Australia. Their version went to #18 on Triple J Radio's Hottest 100 countdown of 2005 and got regular airplay on the network. 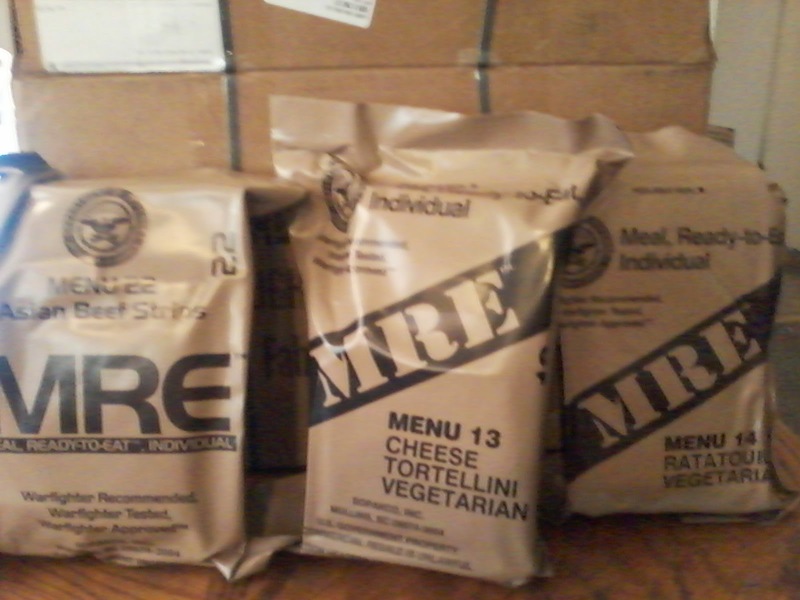 An old friend of mine recently sent me a package - and a challenge: Review these MREs. 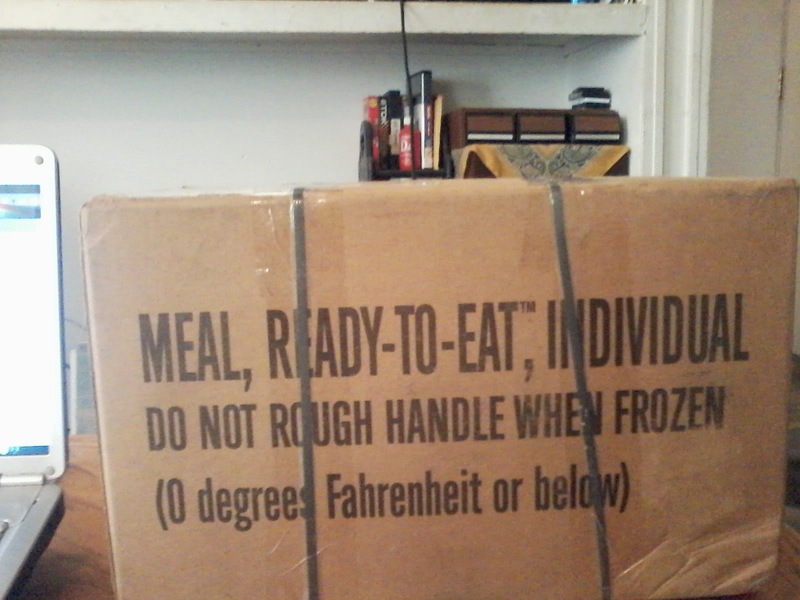 They are Meals Ready to Eat. 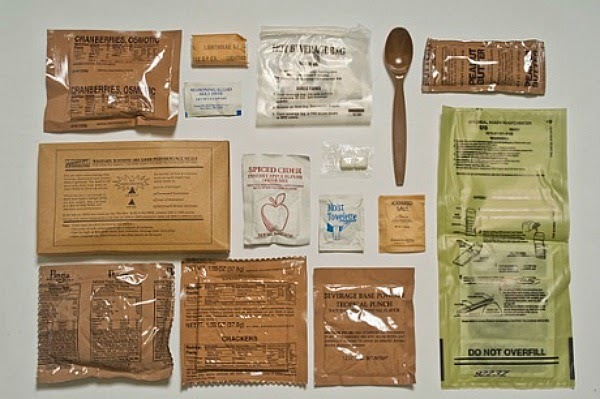 They are issued to army troops in combat or anywhere outside the mess hall. They are in nearly every army around the world.